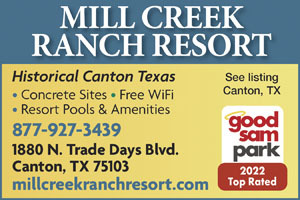 We just returned from Mill Creek and this Resort is going to be amazing! Don’t get me wrong...it’s a beautiful resort now but it will be even better once they finish tearing up the pothole-filled asphalt in the Red Oaks Area and replace it with concrete. The process is close to completion in the Meadows and Walden Ponds Areas and it is really nice. Our biggest complaint is Barkley Park dog area. It’s way too small, wasn’t mowed and needs to be upgraded with double gates. Mill Creek is a huge property and they really need to find a bigger area where they can expand it. The laundry area in Red Oaks only had one washer and one dryer and the washer was broken. Fortunately, there were two others available at the RV Lodge. The Grand Lodge, pool, and spa are absolutely beautiful! We really enjoyed the walking trails with our dogs. If you plan to go here you won’t regret it but wait a year or so until the repaving is completed. Then it will be a Five Star Resort. 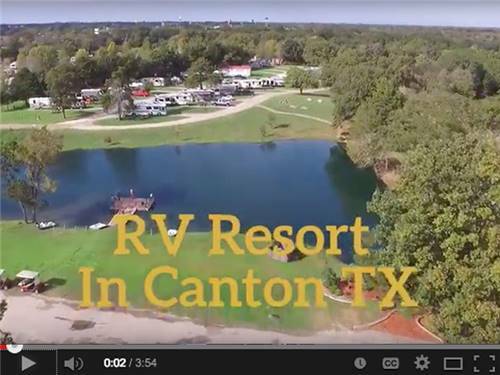 This was probably once a pristine resort, however.. things have changed ---the roads have very large potholes, many water features are not working, the landscaping is overgrown, the rv spots have sewer running up-hill? ?, ants are everywhere They needlessly charge extra for everything--wifi. Only one staff member was courteous (lady in the lodge) everyone else was very unfriendly. Stayed here two years ago and the place was immaculate. This time it was run down and the staff was less than accommodating. Messed up our reserved site and refused to connect us with manager or owner. 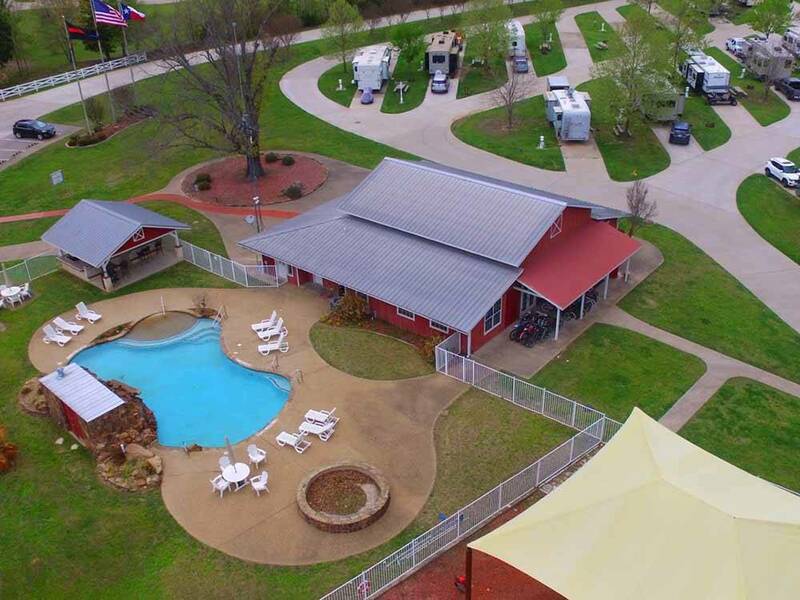 Roads washed out and full of potholes, sprinkler system leaking making the site a mud hole, fire pit not cleaned of beverage containers and to top it off were told that all of the facilities would not be available for weekend because one party had reserved all the cabins and the pool that goes with it! Grass was 3 inches deep and it appeared that when previously mowed was very deep and wet at the time as wet mulch was all about. Very disappointing. Would give a higher rating if I could. Stayed there over Canton trade days; shuttle to trade days is a bonus. Restrooms/showers are outstanding. The park is extremely well kept, clean, and lots to do. Only issue was with the sprinkler system that ran 2 nights and got our items outside wet. This is a true 10! Loved everything about this campground. It set a standard for me as far as campgrounds go. As we are new to camping, this was the first one we visited and all others are having a hard time measuring up!